EMR Transcription consists of transferring the physical, written medical records of patients on a digital medium. Doctors use paper, as usual, or dicta phone at the place of place in recording the condition and treatment of the patient. After that these records are transferred to a digital, usually computerized format, by an EMR medical transcription company. These records are also stored on computers instead of on paper and in files. There are so many reasons that we need to use transcription with EMR system. As the healthcare industry is growing, the healthcare practices are implementing Electronic Medical Records (EMR). If the medical transcription industry is eliminated tomorrow for good. The medical professionals can discover your transcription through your EMR system. It will obviously boost the productivity, accuracy and many more beneficial things. Here are the following reasons that a practice should use transcription with the EMR system. EMR system allows the physician to maintain their productivity rate. The schedules of the physicians are obviously very busy, as they should be – overall they are the primary source of earning in the clinic. Having physicians’ type patient notes into an EMR system would waste of their valuable time, and will also lead to them seeing fewer patients. So, Using of EMR system can definitely bring the changes the productivity of the physicians. As we all know physicians prescribe very fast and very rough. Physicians types notes can lead to high type of error rates. The physicians are often multi-tasking or rushing from one appointment to another appointment, so the quality and thoroughness can be compromised. The quality and quantity can’t be maintained at the same time. But the medical transcriptionist do a quality check of the report and have a 99% of accuracy rate. Whereas many physicians complain of copy -paste or copy forward function on EMR, that can lead to the wrong information being stored in the patient’s system. Physicians are too valuable of a resource to be used for a data-entry task. Recruiting a medical transcriptionist in the premise can cost of so many things like salary and benefits. The voice recognition systems are very costly and have been showing higher error rate than a human medical transcriptionist. By using medical transcription services, practises will reduce the overall operating cost, and most even find their reports are done faster and with fewer errors. Typing notes for each and every patient slows doctors down and leads to them seeing fewer patients than expected. Seeing fewer patients will definitely decrease the revenue of the clinic or the hospital. By including the dictation techniques in their medical practises, physicians can see many more patients daily basis that will definitely make an increment the revenue of the clinic. So by using dictation, raise the revenue of your healthcare or of your clinic. By using EMR system, the transcription has become easy for a doctor to tell the whole story of a patient at one time at one place. Transcription with EMR system allows a physician to tell the complete story of a particular patient than worrying about template fillings, generalized drops downs. Telling the complete with EMR with dictation will clarify the patient’s record and it definitely leads to a proper chart that can be easily used for the medical billing personnel. Why Choose EMR Transcription Services From Eyered TRanscription? 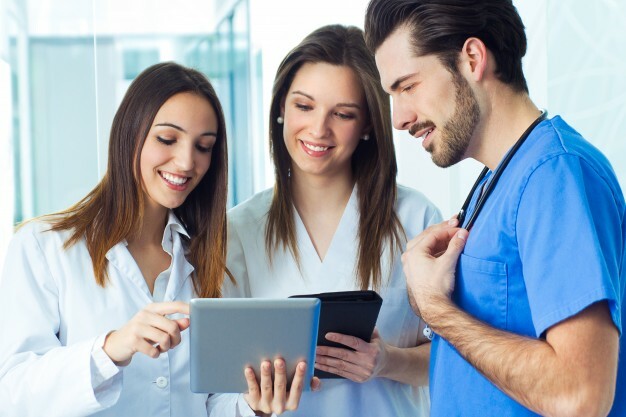 If you choose offsite EMT transcription services from Eyered Transcription, you can get enough time to focus on patient care instead of administrative functions that involve code keying and terminologies into EMR transcription. Our smooth EMR transcription service will bring you more per dollar. Get cheaper, faster and better solution tailored for your requirement and budget size. Eyered Transcription is a HIPPA-compliant and ISO certified EMR transcription services provider offer services that fully goes with regulatory compliance of the industry. Eyered Transcription has a very experienced and passionate team of transcribers who has been doing EMR transcription services for 20 years for various types of transcription projects. Our team is well aware of all the coding systems like ICD-10, ICD-11 to discharge the service in a risk-free manner. Our wide range of services will let you save up to 30 to 40% in cost because we value our clients. We only and only charge 7 cents per line that is below the average in the transcription industry. You can save your precious time to partner with us. By a whopping 50%, you can lower your TAT. It will allow you to focus on the more aspects of the treatment and patient care. When a clinic or practice outsource the EMR Transcription. The team of EMR transcriptionists of Eyered Transcription carries out EMR services from inception to completion in the quicker and accurate manner. The professionals who perform EMR documentation of patient encounters using handheld audio recorders can send dictated recording by uploading the same on our server. After converting EHR transcription into written documents. We notify you through email. By securely logging into our system, you can easily and securely download the electronic medical records. nowadays. A scientific realm has been formed named -Healthcare IT – by bringing Medicine and IT altogether . It has opened the doors of opportunities for both healthcare and non-healthcare professionals. A field that is largely explored by the non-professional professionals, medical transcription has yet the benefit from the skills and the expertise of professional medical transcriptionists. There are following opportunities for medical graduates to initiate their career as a medical transcriptionist. In simple words medical transcription is a process of converting medical dictations ( Digital Voice ) into textual format (generally in word document). The voice files has usually the voice of medical professionals, mostly physicians or their assistants dictating for a physician. The doctor dictates notes on patient encounters and the same is made available in a digital form that a professional medical transcriptionists listens to and types in words. The purpose of medical transcription has primarily two fold. 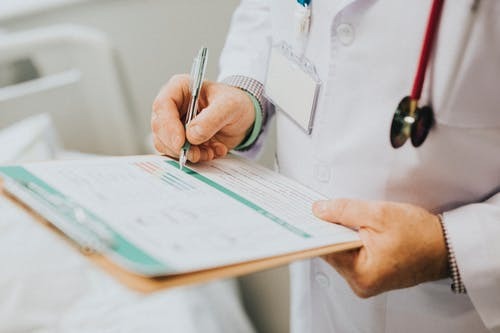 The transcribed document is served as a medical record that a physician needs to make available to the insurance company in order to have hs claim approved. Medical Transcription is a great solution for practicing medical professional who want time allocation a change. Many firms offer you working from home even, helping doctors will earn extra income while continuing on their medical journey. It can be more flexible like you can work from home or from anywhere, at home or in the office, and with scheduled times too. A number of certified and passionate medical transcription graduates work online It doesn’t only gives you much desired flexibility but it also helps you to save on expenses like traveling, park, gas, and more. To begin as a trainee in medical transcription, you must be a graduate. A degree in any extreme would make you eligible to work in medical transcription sector. However, your medical graduation degree can add value to your educational qualification and boost your chances of getting hired. Your acquaintance with medical terminology also makes you fitter and more comfortable in this field. you will also be able to comprehend the medical terms and abbreviations used in the recording. Where the other students in medical transcription programs require classes in anatomy, pathology, physiology and medical lexis, physicians on the other hand, doctors would get it convenient to get into such a setting. Almost seems like the job is inviting the medical graduates. How Much Is A Medical Transcriptionist Paid? Usually, the medical transcriptionist as a freelancer or a full-time employee is paid on an hourly basis or based on the number of lines and the number of words they transcribe. With the advancement in technology and the rising demand for qualified medical transcriptionists., the profession has got a major facelift. The Bureau of Labour Statistics has predicted that within a few years, the number of medical transcriptionists will rapidly increase into triple figures. Nowadays, on an average a medical transcriptionist trainee gets a stipend of about $1000 per month. An experienced medical transcriptionist earns 70,000$ per annum. And like every other business, higher productivity would definitely lead to higher earnings. Where is a medical Transcriptionist employed? There are so many healthcare-related industries where medical transcriptionists are needed. According to recent statistics, 25% physicians and 35% hospitals and their clinics, and many more administrative healthcare providers need medical transcriptionists for documentation purposes. Many of senior medical transcriptionists work from the comfort of their homes and according to their terms, as freelancers too. By doing so, medical graduates can get more time with their studies, and with their families and also can generate extra income to take care of their financial responsibilities. By doing so, they can also continue their studies smoothly without facing any problem. The medical transcription industry has been expanding. With the industry growing, there will be many more job opportunities in the medical transcription business. The bigger medical transcription company, United States based Eyered Transcription has more than 100 employees at present and planning to expand its strength. After two years of experience, a medical transcriptionist can apply for Certified Medical Transcriptionist (CMT) and later for a Medical Language Specialist (MLS) certification to bring in higher remuneration. The capable MTs can move on to become supervisors, trainers, editors, and managers of training units. A number of practising doctors are also working as medical transcriptionists . Sometimes the exact transcription of dictations becomes very complicated and time consuming for the medical transcriptionist, then the physicians need to do this by themselves. So if a medical graduate already knows all the techniques and skills about transcription that will be very beneficial for him too. If the practitioner or a clinic doesn’t have so much workload, then medical transcription can be done by the physician too. So if a physician comes from a transcription industry that will be more convenient for him to establish clinics. Eyered Transcription is a 20 years old medical transcription company. It has been one of the leading medical service providers to the client across the United States for a long time now. It has been in the healthcare industry for 20 years and its experience has given enough confidence to handle any kind of medical transcription requests. Our team of very passionate and experienced transcriptionists has always been on their toes when it comes to being updated with the latest trends in medical transcription. Our team is expert at adapting to new trends. 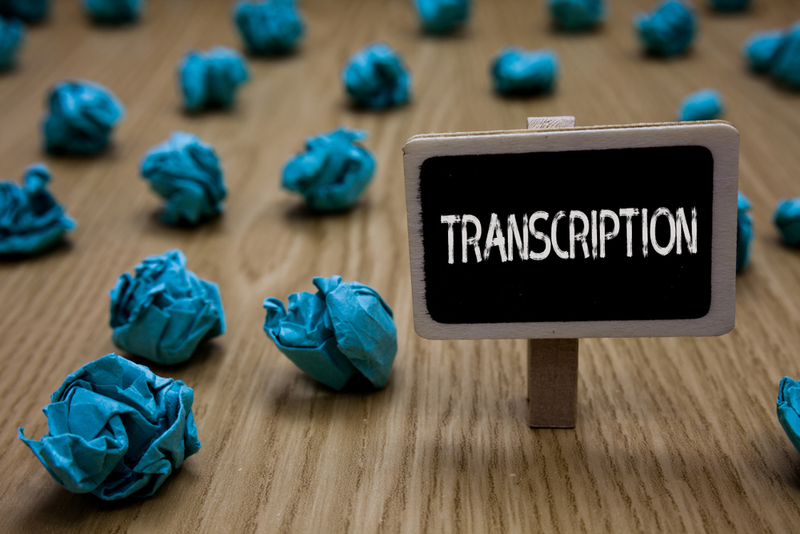 We train our medical transcriptionist for many years to deliver high-quality, accurate results (approx 99% accuracy rate) within a quick turnaround time, and provide a free trial option so that anyone can judge our transcription services before outsourcing the entire project. If you are looking for the medical transcription service provider with accuracy and punctuality, then you have come to the perfect place. Get in touch with us or talk to our representatives. They will be very happy to help you. There are so many latest techniques for medical dictation to use. Let me talk in brief. Have you ever faced such kind of problems when you are trying to record a patient’s data with maximum quality and clarity but you are unable to get the desired result? As a doctor or medical faculty, you better know that the clarity of dictation is very important. Especially it greatly contributes to the accuracy of the transcribed medical record. If the recording will not be clear, even a certified Medical Transcription Outsourcing Companies will find it inconvenient to convert the records and might end up wasting too much time and efforts. Also yet, there is no assurance that the records will be accurate. And we better know the quality rating of the most transcription companies depend upon the sound quality of the audio files. Always try to choose an area with less surrounding noise, especially microphones catch noises very easily. Dictating in a quiet and secure surrounding will definitely improve the result and also maintain the patient confidential. It is the best practice for medical dictation not to record in the areas having surrounding noises and distractions like – people talking, ringing cell phones, music sounds, vacuum, other speakers and beepers etc. Even the voice of air conditioning can be multiplied in the background. Sometimes, you have no option but to dictate in the outdoor location, then you should try to avoid such areas like a lot of traffic noises, very windy type of areas. These factors can compromise audio quality. The conversational tone should be at a normal rate. So, the transcriptionists can understand the dictation easily. who needs to provide the quality records. Also depending upon the microphones. The recorder needs to be placed about 3/4″ from the mouth in an upright level position so that sound hits over the top of the microphone and not directly into it. 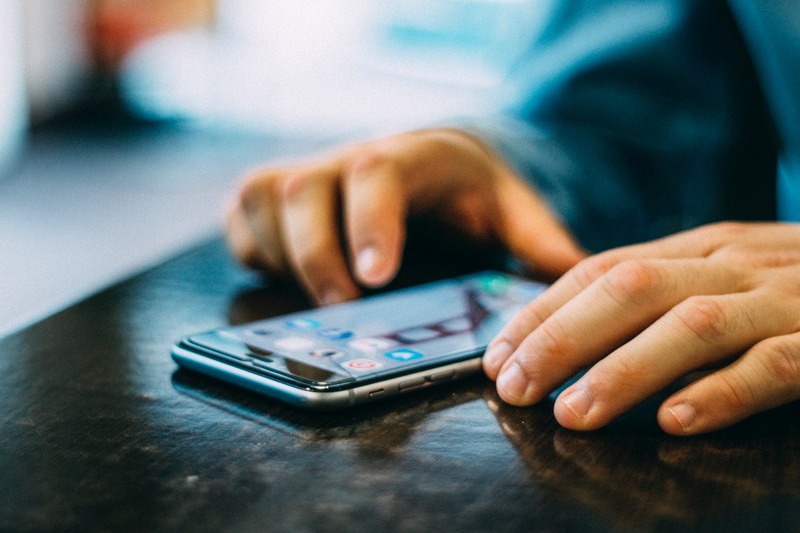 If you are using a smartphone or tablet then it’s essential to know where the mic is to make sure that you are not covering it with your hand while recording. Generally, microphones over built-in microphones provide better quality. Brief your team members about the digital audio recording and if they too are going to participate in the recording.  For better quality request them to speak one person at one time in a clear voice and slow rate of speech. You may also tell him to avoid talking to one another during the recording. Before sending the recording to the transcriptionist, it will be the best to first conduct a test of your own recording. Talk a few sentences and then check the sound level and the quality of the recording. It will give you an overall idea of quality and your speech. It will also give you an idea about what you need to include and what you need to remove. The medical terminologies can be difficult for the transcriptionists to decipher at times. You should make a note of unusual or difficult terms, similar sounding words and the names of referring physicians. If you think there can be a chance of confusion then it’s better to spell it out. While most certified transcriptionist services hire competent transcriptionists who generally do double check the spelling. Sometimes when the words are not able to transcribe they end up leaving the blank spaces in the transcript. Overall it’s better to use well-certified transcriptionists who can easily understand a wide spectrum of accents and dictations to a certain degree. To get to know whether your accent will be understood by the transcriptionist, you should first submit a sample dictation as a test. Physicians are highly concerned about the accuracy of transcribed reports. Especially as mistakes can cause the considerably severe legal and financial impact. As it depends upon the dictation. You should try as much as possible to record a file that has no background noise. The feedback is also a major part to improve the quality of your work. Timely feedback is very important when working with new transcriptionists, and continues to be important if an issue arises. Corrections must be performed for free prior to final approval. Changes due to author error generally incur a charge. Instead of using a keyboard and mouse using speech to document encounters are more natural. In a recent NIH-supported research study by ZyDoc, Clinical dictation has been shown to be an average of 2.5 times faster than typing. Dictation needs to be learned where speaking is a more natural modality, good speech habits. 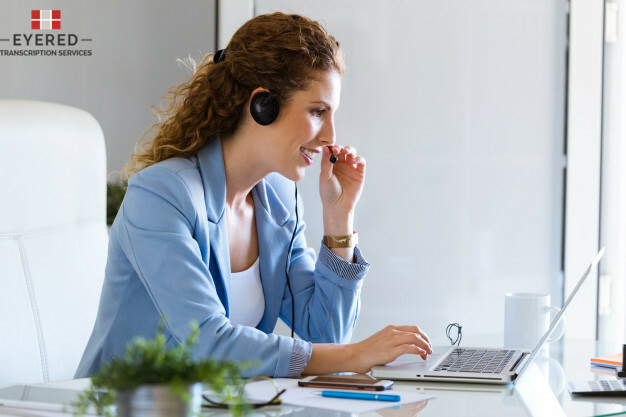 Achieving excellent transcription also demands attention to workflow details such as providing completed information and correct information. Getting the right information saves time and frustration for both the author and the transcriptionist, and reduces the probability of the errors. In the early stage “Speech Recognition Technology” emerged as the proposed solution for saving the clinical documentation time. Front-end SRT allows an author to dictate, also monitor of the text on the screen with minimal lag time and perform immediate edits. Back-end SRT reviews correct, or in some cases, re-types the report after completion of a dictation session for subsequent routing to a transcriptionist or editor. HOW DO WE FIND AFFORDABLE TRANSCRIPTION SERVICES? There are tons of affordable transcription services. A quick search on google look will provide you with results from top to the last page. Along these lines, choosing the right transcription services can be difficult in the event that you don’t approach it methodically. One of the initial steps to hitting the nail on the head is to have a reasonable feeling of what your requirements are. Is time or cost-effectiveness generally important? Do you have one or bulk task? Is it true that you are after average transcription services or searching for esteem value-adons to achieve efficiency in your business? Diverse transcription services have distinctive qualities and shortcomings. Taking a look at their sites will give you a reasonable thought what these are. Furthermore, you can send an enquiry for points of interest. Most importantly, ensure you cautiously evaluate the nature of company being advertised. At least 99% precision is fundamental for solid transcripts. In the event that they do promote high precision, discover how they can promise it. For instance, take a look at how powerful their quality-control forms are and if they are certified. Does the service provider give a consolidated price for every one of the services offered? Or on the other hand are there hidden costs appended relying upon which additional items you pick? The more factor the valuing, the harder it will be for you to choose what you can and can’t afford. Does the price appear to be reasonable? A few sellers like to push unreasonable shoddy per-minute rates but there are also others who provide quality by being the affordable transcription service providers. Nonetheless, regardless of whether they’re really ready to ensure quality and precision is impossible to say. On the off chance that you do take the least expensive alternative, you may finish up going through out on a second supplier or waste your own time re-doing it. It’s imperative that your transcription service provider has thorough inward procedures. This guarantees that they can save the secrecy of data contained inside your sound documents and keep the spillage of any delicate information. For genuine feelings of serenity, just pick a service provider that has Information Security Certification. Another important point is the capabilities of the individual’s identity taking a shot at your record. The best transcribers will be local dialect speakers, subject matter experts, top college graduates and prepared quality experts. Their experience will empower them to get on the gentler parts of transcription, for example, tongues, slang, sayings and other social subtleties, enhancing the general quality. On the off chance that your undertakings are sizeable and you are searching for mass transcription benefits, it’s critical to pick a supplier who has this kind of experience. In the event that you pick one that doesn’t, your transcripts might be conveyed late, or with mistakes, because of their wasteful aspects. One more factor to think about while picking a transcription specialist organization is their capacity to check who they state they are. Take a look at their past work to perceive what they are able to do. Furthermore, read the referrals and testimonials on their site, just as on outsider. At long last, before you settle on a choice, verify whether they give any valuable or complimentary services. Working with a service provider that offers other dialect services, for example, editing and copyediting, transcriptions, and inscribing and subtitling can be exceptionally convenient and more financially savvy. When looking for a cheap transcription services, it is imperative to discover an organization that takes care of business in an auspicious way and with a high level of precision. Similarly essential, be that as it may, is remaining inside your financial plan and not overpaying for interpretation. All transcription isn’t made equivalent. An organization known as the best in the business for medical transcription probably won’t be the best place to look while getting court or business transcription. Any transcription organization worth procuring has a very much created site that subtleties its experience and mastery. Decades back, buyers, except if sufficiently fortunate to have companions and relatives who had worked with an organization, confronted extraordinary trouble discovering what the organization’s past clients thought of their experience. With the abundance of data accessible on the web, most settled transcription organizations have somewhere around a couple of surveys out there. Concentrate these cautiously. In the event that an organization awes you, seeming to offer quality and reasonable transcription, however something referenced in a survey makes you attentive, don’t dither to contact the organization and address the issue straightforwardly.  Somewhere else you can discover most settled transcription organizations is via social media, for example, Facebook, Twitter, Google Plus and LinkedIn. Online networking site is an extraordinary place to explore a business since you can see the manner by which it draws in with its current, past and forthcoming clients. An organization that answers rapidly to questions and remarks on its internet based is likely client engaged and simple to work with. Picking the correct transcription services may appear to be an extreme errand. In any case, by investing some energy doing adequate research you can guarantee both the security of your information and the quality and precision of your interpretations – and spare yourself time and cash all the while. Eyered offers quality transcription services at reasonable rates and ensures a quick delivery. Visit our website and talk to our expert today. Given the complex nature of the healthcare sector, it is important to create a balance between human element and technology to ensure safety of patients. Whether it’s medical billing, coding or medical transcription, even a slightest error can cost a patient’s life. After eight years of research and analysis, Johns Hopkins patient safety experts reached a conclusion that medical error is the third largest cause of deaths in the US. Nearly 10 percent of deaths in US are because of medical errors in last few years, and faulty transcription is a common form of error. Medical errors remained unnoticed s a cause of death for the longest time not just in the USA but all over the world. However, today it is taken quite seriously by the healthcare industry thanks to several studies in that sphere.. The healthcare sector is now relying more upon offshore medical transcription services to prevent the chances of errors to create medical reports and recording patients’ details. Why take help of professional medical transcriptionists? Over the last few years, the advent of medical transcription technology has made the task of creating different types of medical reports more reliable and efficient. Professional medical transcriptionists have taken the level of their service a notch higher by making the best use of technological aids for speech recognition and digital reading. There are many medical transcription agencies that take help of technological aids and adhere to quality control measures to provide exceptional transcription service. Along with these benefits, there are several other factors that add to the demand for offshore medical transcription services. Better accuracy: The best way to prevent medical errors is takehelp from medical transcriptionists who work in a more streamlined manner to give optimal results. 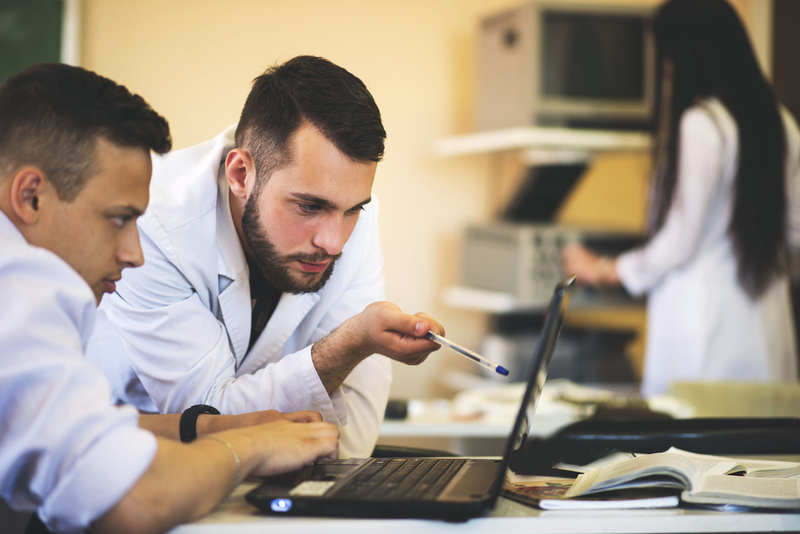 When healthcare professionals rely upon in-house medical transcriptionists or do it themselves, the quality check process may be slackened due to lack of stringent guidelines.  is . But, when the same service is outsourced to a medical transcription agency dedicated to this task, adequate quality control measures are adopted at many levels. Streamlined process: Managing turnaround time and keeping a check on quality parameters is a major responsibility of medical transcription agencies, once the job is outsourced to them. This helps healthcare professionals get faster hold on transcribed files and accuracy without any need to train and supervise in-house transcriptionists. Offshore medical transcription services streamline the overall process by taking help of expert and experienced transcriptionists from all corners of the world. Skilled service: The perk of outsourcing medical transcription service to an offshore location is that healthcare professionals get access to skilled workforce. This helps them to get e reliable and accurate transcription service from skilled workforce. From maintaining accurate medical reports to easy retrieval of patient information and providing flexible dictation options, medical transcription professionals are expert at managing the entire process. Economical: When healthcare professionals outsource medical transcription tasks, they need to pay only for those services that they are availing. On the contrary, if they are taking the service of in-house transcriptionists, the overhead expenses of salary and maintenance of a new department need to be met on a regular basis. Reduced workload: Making consultation reports, patient history report, laboratory report, and physical examination report may seem an easy task for some healthcare professionals, but the reality is not the same. These jobs consume a lot of time with fewer chances of control over quality and accuracy. By sharing the additional load of medical practitioners and letting them concentrate on their core task, medical transcription agencies are a great help. Preparing transcripts for all types of medical reports and delivering them within the pre-defined turnaround time are the biggest challenges that offshore medical transcription agencies are expert in dealing with. A trusted medical transcription company not only helps clinicians, physicians and multi-specialty groups in preparing medical transcripts but also let them build a rapport of trust with their patients. When it comes to data security, medical transcription agencies share data in an encrypted form without disclosing patients’ details to the third party. So, why not search for the best medical transcription agencies offshore and benefit from their expertise?